If the Internet Connection Wizard opens, skip ahead to step four. 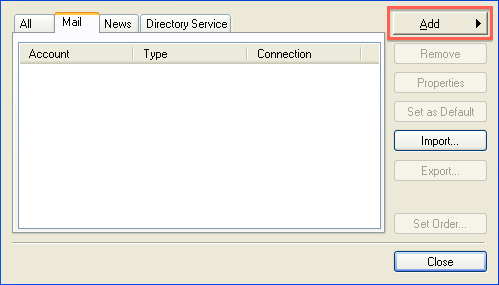 Click Add, and then click Mailto open the Internet Connection Wizard. On the Your Namepage of the wizard, type your name as you want it to appear to everyone who gets e-mail from you in the E-mail Address box, then click Next. POP3 will download and remove all of the emails from our server, where as IMAP will synchronize the emails between your email client(s) and our server. IMAP is recommended if you will be using this email account with multiple devices. 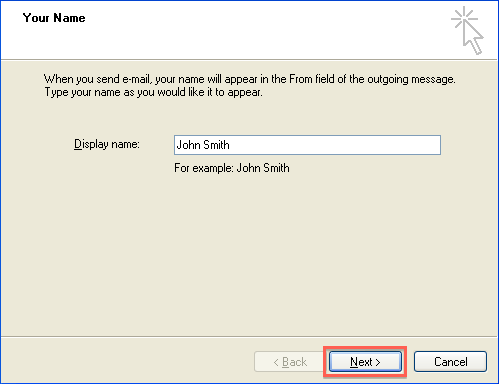 Enter mail.example.com in the Incoming Mail Server (POP3/IMAP) field. Enter mail.example.com in the Outgoing Mail Server (SMTP) field. You would not enter example.com, rather your own domain name. On the Internet Mail Logon page, type your account name and password. Now to configure the ports and mail servers by clicking the "Properties" button. It is recommended that you enable the Secure Connection for both the Incoming and Outgoing servers. Once completed, click the Apply button. Under Outgoing Mail Server, ensure that "My server requires authentication" is checked. 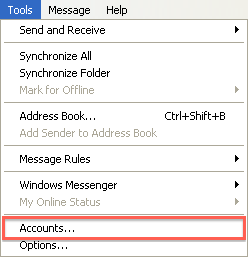 Outlook Express is now correctly configured to send and receive emails.